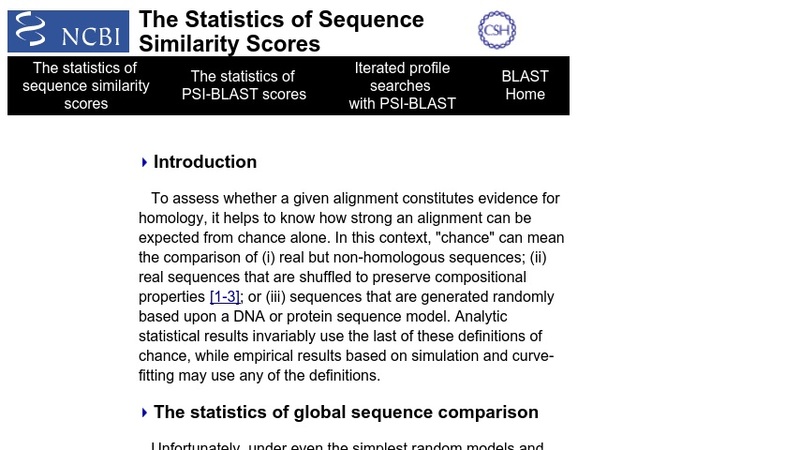 This page summarizes the basic concept and vocabulary of sequence similarity searching. It is included for those new to the field who may not appreciate the importance of this technique in biology, who lack the vocabulary to understand the BLAST guide and tutorial or who require a basic rather than a sophisticated understanding of the methods involved. Sections include introduction, premise, terms, general approach, the BLAST algorithm, quantification, gaps, significance, and databases. Users can link to BLAST, BLAST tutorial, and additional BLAST information from this page.